A really interesting article appeared recently in the Associated Press, written by Stephanie Reitz, outlining the numbers of schools in the United States abandoning traditional text books for iPads with their texts loaded on them. This is not really surprising and has an total inevitability about it. I wrote ages ago about this and identified some schools in the UK already aiming to be text book free. 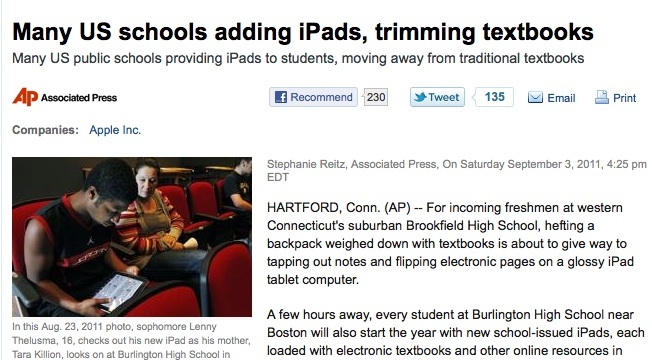 They get the message about young people and their expectation that technology will available for use. Some students have even stated that with the lack of technology in schools real learning really slows down or even stops when they go to lessons. There are several schools I am working with who still have not contemplated the move towards the use of personal technologies and mobile devices. Surely no one an really believe that in ten years time, or twenty, we will be expecting our students to carry around clunky great text books that cost a fortune? Even worse, because they are so expensive, many texts never leave the classroom - so great aspects of learning caused by lack of resources really do stop as students go through the door. It's bizarre! Having said that I do totally agree learning can and will occur without technology, but it is a fantastic tool to really enhance the quality of it. We all know that really. To read the full article click here. 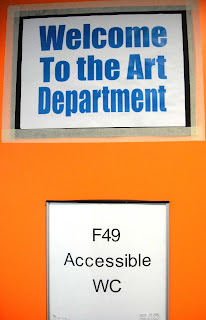 I often seem to end up commenting about the quality of signage, graphics and colour in schools. It is important. 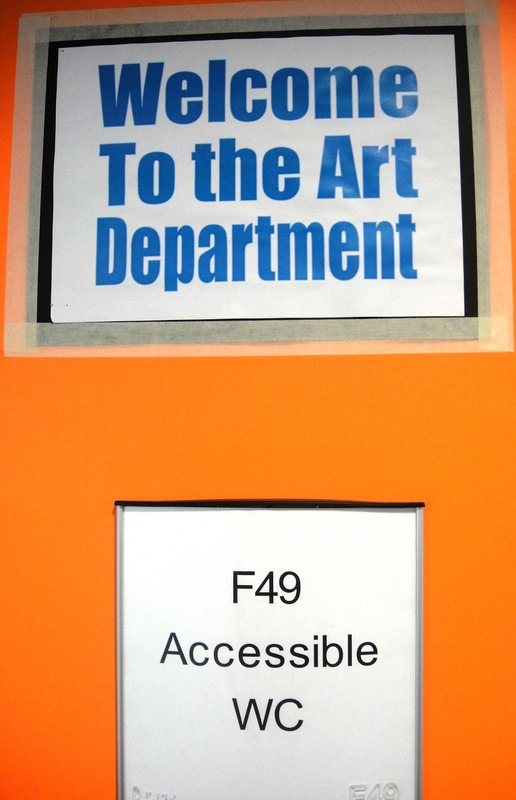 Visiting one school recently though, I did think that labelling a door as the entrance to a department as well as a WC (as above) was bizarre - it certainly caused comment and amusement. I would not be so happy if i was the Head of Art! It makes me wonder whether people consider what visitors, students, staff and other people actually see when they put notices up!